During the past couple of weeks I read some richly illustrated posts on Varanasi, as it appears today; and as they experienced it. That stirred in me some memories of Varanasi of old, the ancient city where a great numbers ‘lived and passed by throughout the ages”. I thought I could talk a bit of Varanasi in the lore and legends of ancient India; and of the Varanasi of the time of the Buddha where he first taught and wandered. It was the city of light; the City of delight the abode of Visveswara; city of the well of knowledge – Jnanavapi ; City of purity where the Mother Ganga purifies all who surrender to her in love and reverence; and the City of Maha-smashana the ultimate end of all. 1.1. 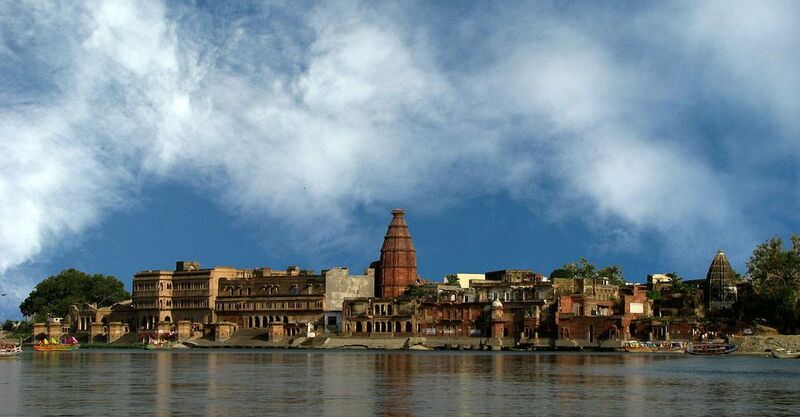 As it has often been said; Kashi is without doubt the oldest inhabited city in the world. It never stopped being a living city for over three thousand years. Mark Twain who visited India in the last decade of the nineteenth century said Kashi is “Older than history, older than tradition, older even than legend, and looks twice as old as all of them put together.” The old texts call the city Avimukta, the city that never was abandoned despite invasions, repeated ravages and bigoted violence. Kashi has reigned over the upheavals of time; and, has never stopped being a lively and animated town. 1.2. 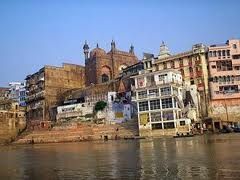 Kashi is the holy city not only for the Hindus but also for the Buddhists, the Jains and the Sikhs. Sri Guru Nanak is said to have visited the Holy City two times around 1502 and 1506. It has also long been a major centre of education, of philosophical debates, of dialectics; and, of traditional medicine (Ayurveda), yoga and astrology. “Kashi the city of refinement and beauty was the spiritual and cultural capital of ancient India. It had always been a sacred city, a centre of learning (jnana puri), of art and pleasures, the heart of Indian civilization, whose origins are lost in the mists of antiquity”. The ancient city has always been at the centre of Indian consciousness. Kashi has a distinct individuality, which it developed over the ages since the hoary past. Its history, culture and people; its temples and tirthas, mathas and institutions; its scholars, some of them the best in the country; its festivals; its literature, music, painting and culture; its silk trade and craft; and, its typical inhabitants: sadhus, courtesans, pundits, musicians, artists, weavers, wrestlers, pandas, babus, thugs and gundas are archetypal of its cultural milieu; and , are uniquely Indian. 2.1. 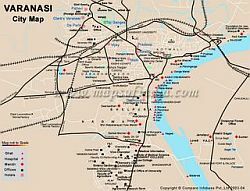 Prof. D Sampath elsewhere remarked “Benares has a very strong geo-physical significance…it is one of the navels of earth”. That seems to be supported by R.E. Wilkinson who in Temple India observes that the holy city of Varanasi lies in the arc of Capricorn. According to Wilkinson : “The Capricorn sign’s 30 degrees begin at 60/61 degrees the Capricorn east and continue to the mouth of the Ganges. Its alignment identifies India and Varanasi as the point of the clearest spiritual vision. [There are interesting varied sets of Tantric interpretations of Kasi’s geography. According to one such mystic geography of Kasi, Manikarnika the Smashana is, truly, symbolic of intrinsic death of the ascetic when his Prana soars up the Shushumna attaining the final release. Kasi is sometimes identified with the Ajna-chakra, the mystic centre between the nose and the eyebrows. 2.2. It is no wonder, therefore, that a massive literature, in all Indian languages, has grown around the city over the ages. Many myths and legends have gathered round the luminous Kashi or the vibrant Varanasi; celebrating its sacredness as the abode of the recluse Shiva and of the gracious Mother Annapurna who guides the aspirant striving to attain knowledge (jnana) and detachment (vairagya). 3.1. Kashi is a city of contradictions. It is Anandavana the grove of happiness as also Rudravasa or Maha-shmashana the great cremation ground. The cycle of life and death is nowhere more pronounced than in Kashi; for , this is the ‘City of Good Death’ to where people come to die, to rid themselves of the cycle of birth and death. 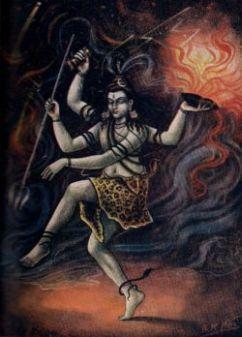 The fires of cremation burn here ceaselessly; and, Lord Shiva whispers the sacred verse of liberation to the departing. 3.2. In this city of blazing summers and chilling winters, the contradictions hit you in the face; the sublime and the sordid coexist. Varanasi continues to be the holiest city ; and yet, a crass cult of greed thrives and holds sway , as the priests fleece you and the touts sell you custom-made doses of phony spiritualism. Its tight net of dark alleys and lanes hold the depths of human despair and vulgarity, where fake sadhus and tricksters lay in wait for the gullible. The sight of countless old widows abandoned or driven away by their families, helplessly loitering the narrow lanes , waiting for death to relieve them of pain and humiliation of what is called life , is truly wretched. 3.3. The contradictions are so evident and yet too close. Just a thin line separates the spiritual from the sham; sanctity from the profane; faith from deceit; purity from filth; and, culture from grotesque. Yet, some manage to find an inexplicable charm in this strange blend of the sublime and the profane. 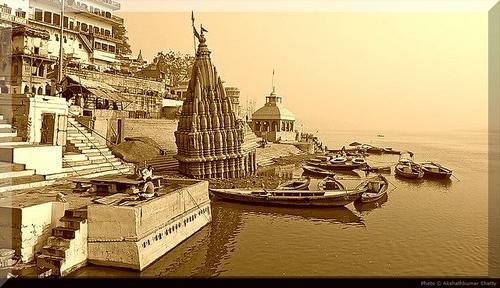 It is said; in Kashi you reach what you walk for; and , you find what you seek. 4.1. 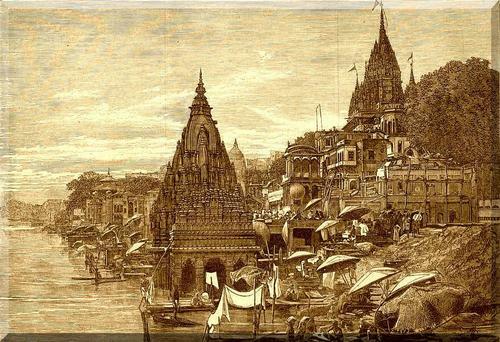 Kashi was the ancient name of the kingdom; one of the sixteen Maha-janapadas of ancient India. It was also the name of its chief city, which was also called as Varanasi or Baranasi. Since the arrival of the British in India , the city has also come to be known as Banaras or Benares. 4.2. The name Kashi is derived from the root kash meaning light (kashate pra-kashate iti kashihi). 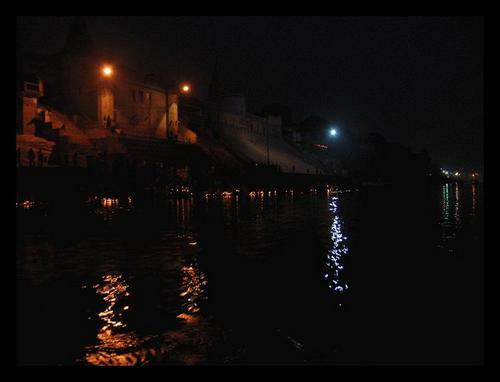 Kashi , literally means the city of lights. It is said; as one sails up the river Ganga at night, the city with myriad temples, mansions (prasada) and palaces glows like festival of lights. Right from the ancient times, Kashi was reckoned among the seven primer sacred cities (Saptapuri) that granted liberation (moksadayikah). 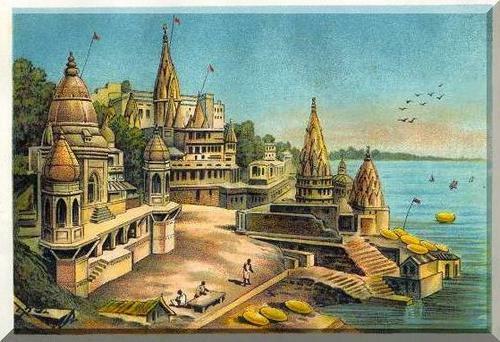 Its name also suggests that Kashi was the ‘luminous’ or pre-eminent of all the seven great and holy cities of ancient India: Ayodhya, Mathura, Maya (Haridwar), Kashi (Varanasi), Kanchi, Avanthika (Ujjain), Puri, and Dvaravathi (Dwaraka) . 4.3. 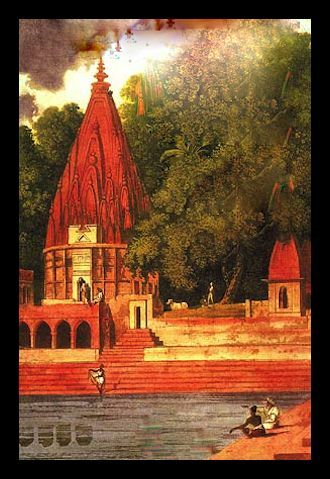 Some scholars opine that Kashi is in fact a later name; its earlier name being Varanavati. Through the ages, the city had various other names such as: Avimuktaka, Anandakanana, Mahasmasana, Surandhana, Brahma Vardha, Sudarsana and Ramya; besides Kashi and Varanasi. But in most legends and lore , the city is celebrated as the holy city of Kashi or Varanasi. 5.1. Kashi is Varanasi ; because, the city included the land bound between two rivers the Varana and the Asi. The Varana is a rivulet, which rises to the north of Prayaga (Allahabad) ; and, has a course of about hundred miles; while Asi a mere brook , which , as Ether says, is now reduced to a lamentable nullah. The Varana joins the Ganga at the north of the city, while the Asi joins the Ganga at its south. The distance between these two confluences is around 2.5 kosas (One Kosa is about 1 ½ miles; making 2.5 kosa to about 3.75 miles); and, the round trip is known as Pancha-koshi –yatra (about 7.5 miles). The great city of Kashi lies on a higher ground at the confluence of three rivers, metaphorically a trident. [But it is difficult to ascertain the original topography of Varanasi because the city’s current location may not exactly be the same as the one described in the old texts]. 6.1. The city of Kashi is situated on the convex side of the river , presenting a semi-lunar phase; and, at a considerable height than the opposite shore. When the river-face of the city is viewed from the breadth of the Ganga or from the low – opposite bank, the city appears as if it is mounted on a pedestal of immense flights of the Ghats lined along the margin of a beautifully formed bay. Because of its elevated location, the city, to an extent, is protected from the ravages of floods and the deluge that the Ganga occasionally causes. Manasara, an ancient text of Shilpa-sahstra, recommends that if a town has to be located along a river bank, it should then be at a height sloping towards the east or north (praganutham uttara natham samam va bhumi); and, it should be situated on the convex side of the river bend. The text mentions Varanasi as a classic example that satisfies this norm; the other instance being the ancient city of Madurai along the convex side of the Vaigai. 7.1. The city of Kashi is clustered with temples and magnificent mansions; yet, more than anything else, it was the view of the city from the expanse of the Ganga, the delightful panorama of the Varanasi riverfront that enchanted the hearts of countless travelers and pilgrims over the centuries. Many of them have left behind delightful pictures – in words and sketches- of their impressions. 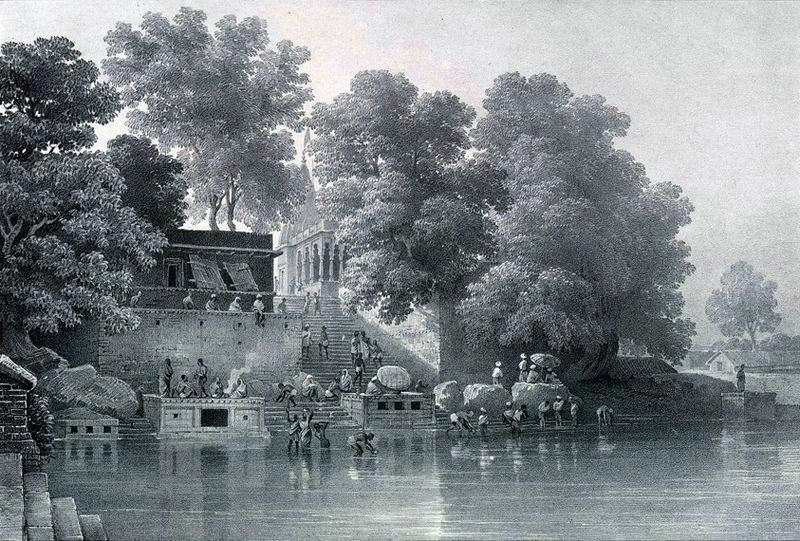 Hiuen Tsang who visited India in the first half of the seventh century was impressed by the temples of the holy city of Varanasi (Po-la-na-ssu) “several stories high and richly adorned with sculptured decoration” standing at the edge of the waters “set in thickly wooded parks and surrounded by pools of clear water”. But ; it was the British artists , who were enchanted by the riverfront , which they described as : “one of the loveliest sky-lines in the world”, which no painter could wish to miss. Apart from that, the British, especially the families, who habitually traveled from Calcutta to Allahabad by boat, enjoyed halting at Benares , in the midway. There was indeed a busy traffic on the Ganga. The view from the river front was enchanting.The families, on their way, would spend an afternoon in Benares, wandering through its streets. 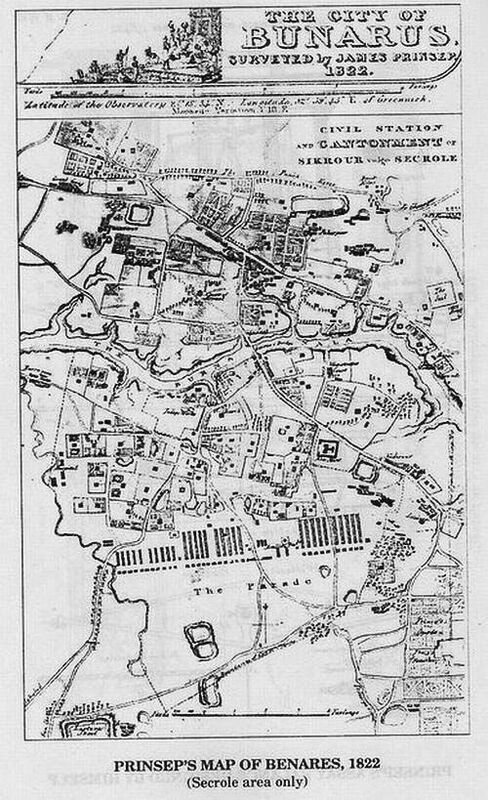 “city is built on the North side of the river, which is here very broad, and the banks of which are very high from the water, its appearance is extremely beautiful; the great variety of the buildings strikes the eye, and the whole view is much Improved by innumerable flights of stone steps, which are either entrances into the several temples, or to the houses. 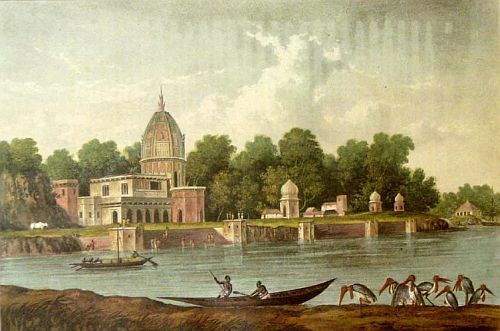 Several Hindoo temples greatly embellish the banks of the river, and are all ascended to by Gauts, or flights of steps. Many other public and private buildings possess also considerable magnificence. Several of these I have painted, and some on a large scale, such as I conceived the subject demanded”. “ one of the most ancient cities of India, ranks among the principal cities of the world. It is situated on the left bank of the Ganges, here a noble stream; and its extent along the bank of that river is full five miles; its breadth inland being in proportion. Built upon a rising ground, sloping gradually upwards from the water’s brink, its buildings appear very lofty, when seen from the boats in passing it. 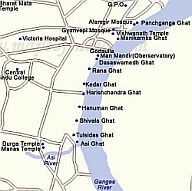 .. .Indeed the whole face of the city towards the river is one continued line of ghauts, which are the exclusive ornaments of Benares”. Emma Roberts visited India in the first half of the nineteenth century. Her articles and books about her Indian travels are highly interesting and informative. 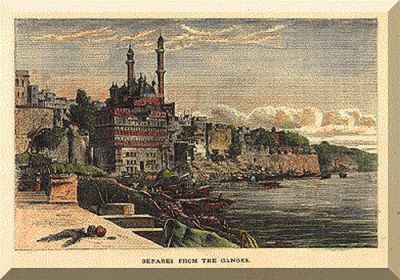 Her description, in flowery language, of the panorama of Varanasi from the river is particularly engaging. 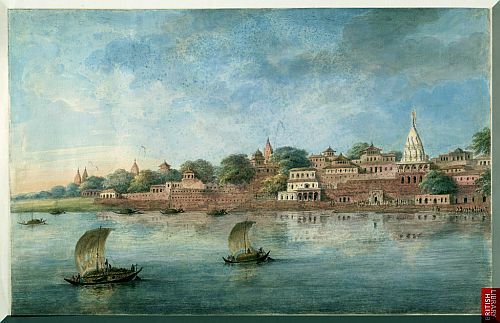 “The views of Benares from the river”, she writes, “are exceedingly fine, offering an infinite and untiring variety of scenery, of which the effect is greatly heightened by the number of trees, whose luxuriant foliage intermingles with the parapets and buttresses of the adjacent buildings. In dropping down the stream in a boat, an almost endless succession of interesting objects is presented to the eye. .. The view of Benares from the ever-shining river must be considered the most beautiful and imposing”. “numerous birds of the brightest and most resplendent plumage, flocks of every variety of the pigeon and the dove common to the plains, blue jays, yellow-breasted sparrows, and whole battalion of ring-necked parquets, with their brilliant feathers gleaming like emeralds in the sun, as they skim along soaring far above the mango trees which bear their nets, yet seldom overtopping the crowning pinnacle of the minaret, whence the spectator surveys the singular and beautiful objects revealed to his admiring gaze”. “When we took in at a glance the whole view of the town, standing in tiers on the right site of the stream, it looked like an amphitheatre. The situation occupied by Benares has often been compared to that of Naples, and the comparison is not without some accuracy. The bed of the stream, in fact, which is half a mile in breadth, forms a sort of calm blue bay, in which the picturesque façade of the city ranged along its banks in reflected like a crescent”. “The River forms here a very fine sweep of about four miles in length. On the external side of the curve, which is constantly the most elevated, is situated the holy city of Benares. It is covered with buildings to the water’s edge, and the opposite shore being, as usual, extremely level, the whole may be beheld at once …. Innumerable pagodas of every sizes and shape occupy the bank, and even have encroached on the river, uniformly built of stone, and of the most solid workmanship, they are able to resist the torrents, which in the rainy season beat against them. Several are painted, others gilded, and some remain of the colour of the stone.… The contrast between these elevated masses of solid masonry and the light domes of the pagodas, in singular and pleasing are the trees occasionally overhand the walls”. 8.1. In early Vedic literature, Kashi does not figure either as a center of pilgrimage or as a center of learning. Rig Veda does not often mention the Ganga; and, it does not also refer directly to Kashi. That might be because they were outside the geography of the Rig Veda, which , basically, was the land of seven waters (saptha sindhavaha). However, Katyayana in his Veda-Anukramanika (a sort of Vedic glossary), mentions a hymn (RV.10.179.2) composed by a certain Bharatha who attributed the hymn to his ancestor Pratardana the son or the descendant of Divodasa (Divodasi) the king of Kashi (Kashi-raja: 10.179.2.). [There is however a dissenting view on the identity of Pratardana and Divodasa]. Yet, the reference in the Anukramanika is taken to suggest that the early Bharata kings of the Rig Veda were descendents of the Kings of Kashi. The Sukta No. 179 having three verses in the Tenth Mandala of Rig Veda invoking Indra, is jointly ascribed to the three sons of Madhavi (daughter of the legendary monarch Yayati ) : the first is Sibi the son of Ushinara (prathamo ushinarah Sibihi – शिबिरौशीनरः ); the second Pratardana King of Kashi (dwithiyo kasirajah Pratardanaha- प्रतर्दनः काशिराजः); and, the third Vasumanasa son of Rauhidasva (thrithiyasha Rauhidashwo Vasumana rishihi – वसुमना रौहिदश्वः) . In this Sukta, Haryasva is named as Rauhidasva. 9.1. The earliest reference to the people of Kashi appears in the Pippalada-samhita of Atharva Veda. 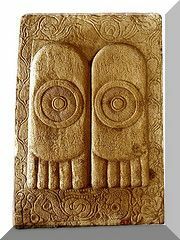 It is said they were closely connected with the people of Kosala and Videha. 9.2. The Atharva Veda (4.7.1-2) mentions that the waters of the river Varanavati had the magical power to cure the effects of poison: “May this water from Varanavati ward off the poison”. Based on this reference, the scholars surmise that Kashi is the later name of the town which was known as Varanavati. 10.1. There are numerous references to Kashi in the Brahmanas . For instance; Shatapatha Brahmana (Sa Brh. 13. 5.4.1.9) mentions the defeat of Dhrtarastra the king of Kashi at the hands of a Bharata king Satanika son of Satrajita. Satanika is then said to have taken the ritual horses from the defeated king and performed the Govinata Yajna. 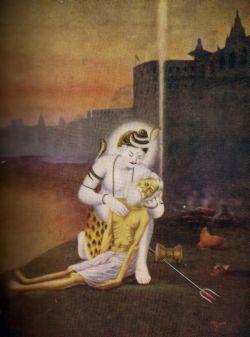 Thereafter the King of Kashi (Kasya) again performed the Yajna (Sa.Br.13. 5. 4. 21). govinatena śatānīkaḥ sātrājita īje kāśyasyā śvamādāya tato haitardavāk kāśayo’gnīnnā-dadhata āttasomapīthāḥ sma iti vadantaḥ – AV. 13.5.4.
tadetad gāthayā abhigītam śatānīkaḥ samantāsu medhyaṃ sātrājito hayam ādatta yajñaṃ kāśīnām bharataḥ satvatāmiveti – AV.13.5.4. 10.2. The Sankhayana Srauta Sutra mentions Kasya, the king of Kashi and Jala Jatukarnya (i.e. Jala son of Jaatukarni) , who became the king’s purohita after performing a Yajna for ten nights (yajña.upavītī.iti.jātūkarṇyaḥ – 3.16.14). That Sutra mentions that one person (Jala Jatukarnya) functioned as the purohita for the kings of three kingdoms: Kashi, Kosala and Videha. 11.1. But in the Upanishads, it is the kingdoms of Kashi and Videha which provide the main backdrop for the philosophical discussions. The Brhadaranyaka (Ajātaśatruṃ kāśyaṃ-brahma te bravāṇīti–Brh.U. 2.1.1) ; Kaushitaki (Kush. 4.1) Upanishads report, in detail, the debates held in the courts of Ajathashatru Kashya, the king of Kashi ; and Janaka Videha the king of Videha. The Upanishads mention Kashi-Videha as being close; while the Buddhist texts describe the close connection between Kashi and Kosala. 11.2. During the time of the Upanishads, the city of Kashi was yet to acquire the esteem of being the holiest of the holy cities. But, Kashi , over a period, gained the glorious reputation of being a center of learning, of culture; and of refinement , although it never rose to the power of an empire or of a major state. 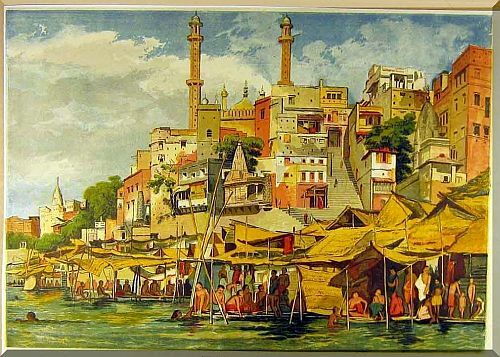 By about the 7th century BCE., Kashi was probably the most famous center of education in eastern India. And in the later times, with the imperial patronage under Asoka, the Sarnath monastery on the outskirts of Kashi must have become a famous-center of learning. It went on continuously prospering; and, in the 7th century A.D., it possessed resplendent and beautiful buildings , with tiers of balconies and rows of halls. Unlike the neighboring Nalanda, Kashi does not seem to have organised any public educational institution. Its learned scholars continued to teach individually in the traditional manner. Their fame, however, was gradually reaching to all the corners of India. Scholars and philosophers from other parts of India traveled to city to get their new theories recognized and published. In the 11th century A.D. Kashi and Kashmir were the most famous centers of learning in India. 12.2. Videha was situated to the north of Kashi , across the Ganga. The kingdom of Videha corresponded to the present-day Tirhut with Mithila as its capital. The high esteem of the kingdom was due to its sage-king Janaka. Videha was situated to the east of Kosala the Sadanira (Gandaka) serving as the common border for the two; and, it was bound on the east by the Kaushitiki. 14.1. Kashi figures more prominently in Mahabharata. And yet, it is not described as the holiest city or the most preferred place to give up one’s life. Mahabharata narrates the story of four generations of the kings of Kashi (Haryyashwa, Sudeva, Divodasa and Pratardana) who ruled and fought series of battles with Haihayas of the neighboring Vatsas (with its capital at Kausambi – the Kosam Ruins of the present day) to retain possession of the city of Kashi (MB. Book 5, Chapter 117; Book 12, Chapter 233). Divodasa, the great king (mahāvīryo mahīpālaḥ kāśīnām īśvaraḥ prabhuḥ Divodāsa – MBh.05,115.001) is said to have built (or re-built) the city of Kashi or Varanasi (kāśīśo Divodāsas tu vijñāya vīryaṃ teṣāṃ mahātmanām Vārāṇasīṃ mahātejā nirmame – MBh. 13,031.016) which became richly populated and soon developed in to a great trading center. His son Pratardana from Madhavi (Mādhavī janayām āsa putram ekaṃ Pratardanam) seems to have been successful in finally beating back the Haihayas who then moved to the Narmada region. 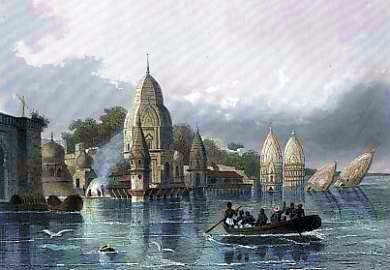 The city of Kashi resplendent as a second Amaravati of Indra, was then described as located on the north bank of the Ganga and to the south bank of the river Gomathl (gaṅgāyā uttare kūle vaprānte rājasattama gomatyā dakṣiṇe caiva śakrasyev Amarāvatīm – MBh. 13. 031.018). [It is likely, Kashi was then a part of Southern Central Kosala kingdom. And, it appears the site of a city known as Kashi or Varanasi shifted over the centuries. It is difficult to ascertain the topography of the original Varanasi; and, the city’s current location may not exactly be the same as the one described in the old texts]. 14.2. And of course, the three luckless sisters Amba, Ambika and Ambalika (the daughters of Hotravahan, the king of the Srinjaya tribe of Panchala) abducted by Bhishma for his sickly younger brother Vichitravlrya were the princesses of Kashi. 14.3. Numerous other references to Kashi occur in the Mahabharata. They refer either to the events in the lives of the kings or to the kingdom of Kashi. However, there are no specific allusions to indicate Kashi being exclusively a holy-center. It is said; Vapushtama , the wife of Janamejaya, the eldest son of the Kuru King Parikshit, was the daughter of Suvarnavarman, the king of Kasi (Mbh. 1, Chapter 44). And, Sunanda, the daughter of Sarvasena, the king of Kasi, was married to Bharatha , son of Sakuntala and Puru King Dushyanta . They had a son named Bhumanyu- (Mbh.1, Chapter 95). There are , however, stories of its sages and other wise men who were commoners such as Tuladhara a very pious and well-informed merchant dealing in perfumes, oils, musk, lac and dye etc. It is remarkable that Tulādhāra being a shopkeeper should impart instructions to a sage . It is said; sage Jājali , who had performed severe austerities had turned highly conceited . He was therefore advised by his teacher to approach the merchant Tulādhāra , living in Kashi, for enlightenment. Jājali , accordingly, approached Tulādhāra seeking clarifications on the true nature of Dharma ( Mahabharata, Śhāntiparva Chapters 255 and 256 ). The gist of Tulādhāra’s discourse was : One should earn one’s livelihood causing least injury to other beings; one should cultivate equanimous temperament and be a friend of all; one should strive to be free from fear and prejudices; practice detachment and self-control ; and, one should try to understand the true nature of Dharma and practice it with a clear uncluttered mind. 5.1. The age of Puranas introduced into the Vedic religion many concepts that were not in the Samhita and the Brahmana texts. Those ideas and concepts have since taken a firm hold on the Indian ethos. These include faith in: a personal god or goddess (Ista-devata); family deities (Griha-devata or Kula-devata) who had to be propitiated on specified days in the prescribed manner; vows (vrata); and pilgrimages etc. In the process , legends were developed for each major pilgrimage-center, proclaiming its holiness and its pre-eminence over the rest; and also detailing the merits to be gained by devotedly worshiping its presiding deities. 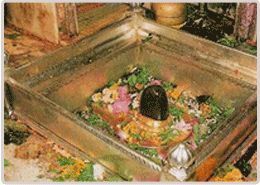 It is in this context that in the related Puranas, Kashi gets fully established as the holiest city, as the abode of Kashi Vishwanatha, as one of the twelve revered jyothi-lingas of Lord Shiva, as the home of ever graceful and loving Mother Annapurna, as the kshetra-thirtha where goddess Ganga in her loving kindness washes away the sins of all who seek refuge in her and as the most sacred place presided over by Shiva who grants release from the cycle of births and deaths. It is believed; most of the Puranas were developed during the Golden-age of the Guptas (330-550 CE). It was a period of revivalism, transformation and vitality. During which the Vaishnava traditions, the cults of Skanda, Surya and local guardian deities flowered. The temples of such deities came up in Kashi. And,legends were woven around Shiva, the Ganga and the Ghats. 15.2. Since the time of the Buddha, Kashi is the pilgrim center for the Buddhists. It is also the birthplace of Parshvanatha the twenty-third Jain Thirthankara. Kasi is also associated with Guru Nanak hence a holy place for the Sikhs. Each of these religions have, in a way, their own set of puranas. 16.1. The Buddhist texts mention that Baranasi city extended over twelve Yojanas (say about 84 miles): (dvadasa yojanikam sakala Baranasi nagaram: — Sambhava Jataka) whereas Mithila and Indapatta were each only seven Yojanas in extent .The Jatakas mention that the resplendent city of Kasi was called by many names, such as:Surundhana, Sudassana, Brahmavaddhana, Puspavati, Ramma and Molini . In the Chinese texts Kasi is transcribed as Ti-miao meaning ‘reed-sprouts’. That perhaps follows from the derivation of the name Kasi from Kasa meaning kusa grass. 16.2. The Jataka stories mention Varanasi as a great city of abundance; of seven gems; of wealth and prosperity , extending over twelve yojanas (a yojana at the time of the Buddha perhaps meant seven or eight miles). The city extended about four miles along the banks of the river, descending into steep brink. Down the brink , were the flights of steps (Ghats) , where the pilgrims bathed and the dead were cremated. 16.3. Several Jatakas recite the superiority of Kasi over other cities of India; and , speak highly of its prosperity, opulence and intellectual wealth. A later Jataka also remarks that Risi-gana (sadhus) were unwilling to go to Kasi ; because, the people there questioned too much, perhaps Suggesting that the people of Kasi were either argumentative or knowledgeable. (Brahmadatta Jataka- 336). 17.1. The stories in the Jatakas indicate that the people of Kasi were generally of charitable nature ; and , they habitually offered alms to the poor, the wayward and the beggars. They also devotedly fed the hermits and wandering ascetics. 17.2. It appears from the Jatakas that Kasi was ruled with justice and equity; and, the king’s officials were honest. Not many cases or disputes came before the king’s courts. There was a belief current among the people of Kasi that when king rules with justice and equity, all things in nature retain their true character. But, when the king is unjust, all things lose their true nature. Oil, honey, molasses and the like, and even the wild fruits would lose their sweetness and flavor. 17.3. The king occasionally wandered about the town at night, in disguise, to learn people’s true opinion of his rule. Despite attempts of good governance, the kingdom was not free from crimes. There were instances of organized highway robbery and housebreaking , which were taken up as a family profession. 18.1. The Jatakas also narrate delightful stories of cheats and tricksters who took advantage of the gullible. The Jatakas tell stories of Kasi’s carpenters who promised to make a bed or a chair or a house and took large advances ; but, deliberately failed to do the job. When pursued by the annoyed clients , the carpenters would just flee to another town. There is also a story of a physician Cakkhupala , who deliberately blinded his patient in one eye when she cheated him of his fee. 18.2. The people of Kasi were prone to superstitions, just as the people of any other city. A king of Kasi paid 1000 kahapanas to learn a mantra that would reveal to him the evil thoughts of people. There were also persons who would predict whether the sword one bought was lucky or otherwise. Slaughter of deer, swine and other animals for making offering to goblins was in vogue in Kasi. 18.3. There was a time-honored drinking festival, in which people got drunk and fought; and, sometimes suffered broken limbs, cracked skulls or torn ears. 18.4. The Jatakas recount some unusual professions; as that of a carpenter who got rich by making mechanical wooden birds to guard the crops. There was also a gardener who could make sweet mangoes bitter and bitter mangoes sweet. 18.5. Jatakas also tell the stories of those who followed traditional professions like farmers; corn dealers; hunters; snake charmers; elephant trainers skilled in managing elephants; horse dealers who imported horses ‘swift-as-the-wind’ from the Sind region; carpenters; stone cutters or experts in working stone-quarrying and shaping stones; ivory workers who had their own market place; rich merchants trading in costly wares by sometimes taking out long business trips; small traders hawking their wares or corn on back of donkeys or by bullock carts; and there were, of course, the gallant warriors. 19.1. Even in those distant days , the city was noted for its fine silks and brocades, for its handicrafts , such as brass-ware, ivory goods, glass bangles and wooden toy etc. The Jatakas often mention of Kasika-vastra or Kasiyani – exquisite fabrics of silk worked with gold laces. The Majjima Nikaya also refers to Varanaseyyaka (Varanasi textiles) of radiant colors of red, yellow and blue used for wrapping the mortal remains of the Buddha after he attained Maha-pari-nirvana. 19.2. Kasi had close relations with the distant Takshasila about two thousand Kms away to its west. Ardent Students from Kasi went to the Universities of Takshasila , seeking higher learning in scriptures, medicine, archery and other subjects. The traders of both the cities had, of course, close business relations. 1.Kasi; 2.Kosala;3.Anga;4.Magadha;5.Vajji;6.Malla;7.Chetia (Chedi); 8.Vatsa (Vamsa); 9.Kuru; 10.Panchala; 11.Maccha (Matsya); 12.Surasena; 13.Assaka; 14.Avanti;15.Gandhara; and 16.Kambhoja]. The little kingdom of Kashi was surrounded by Kosala on its north, Magadha on its east and Vatsa on its west. 20.2. The Mahavagga mentions that Kasi was a great realm in former times. During the seventh century BCE; Kasi was perhaps reckoned as one of the more powerful among the sixteen Maha-janapadas. The Kingdom of Kasi was said to be three hundred Yojanas in extent (Jataka no.391). 21.1. On the political arena; the Jatakas narrate rivalry of Kosala, Anga and Magadha to take possession of Kasi. There was a long struggle among them for gaining or supremacy. It is said; all these monarchs aspired for the pride of being the foremost among all the kings (sabba-rajunam aggaraja) ; and, for the esteem and glory of ruling over all of India (sakala-Jambudtpa). All the surrounding monarchs contended for possession of Kasi. And, Kasi was, most of times, forced to fight to defend itself. But, Kasi’s strongest rivalry was with its neighbor Kosala . Kasi, in the mean time, also caused the downfall of Videha, the neighbor on its north. Kosala situated on the banks of the Sarayu (roughly corresponding to the erstwhile state of Oudh) was bound by the Sadanria (Gandaka) on the east; the Panchala country on the west and the Saprika or Syandika (sai) river on the south; Nepala hills on the north. The kingdom was later divided into north and south Kosala; with the Sarayu demarcating the two. Savatti and Ayodhya were the capitals. 21.2. 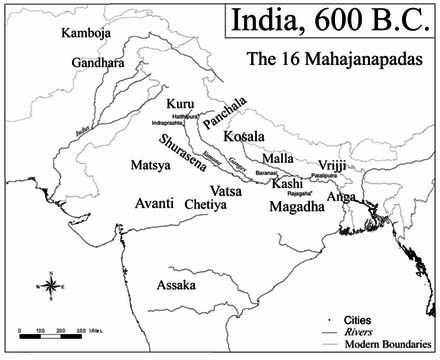 The flourishing period of many of the sixteen Maha-janapadas ended in or about the sixth century BCE. The history of the succeeding period is the story of the absorption of small states into powerful kingdoms; and, ultimately merging into one empire, namely, the empire of Magadha. Kasi was perhaps the first to fall. 21.3. The Mahavagga and the Jatakas refer to bitter struggles that took place between Kasi and her neighbors; especially, Kosala. Kasi seemed to have been successful at first; but , later gave in to Kosala. King Brihadratha of Kasi had conquered Kosala; but, later Kasi lost to Kosala. Eventually, Kasi was overpowered by Kamsa the king of Kosala earning him the title ‘Baranasiggaho’– the conqueror of Baranasi-which he added to string of his names (Seyya Jataka and Tesakuna Jataka). During the time of the Buddha, Kosala was an important kingdom ; and , Kasi was a part of the Kosala. But, later both Kasi and Kosala were absorbed into the powerful Magadha kingdom.The Mahavagga mentions that Magadha king Bimbisara’s dominions embraced 80,000 townships, the overseers (Gamikas) of which used to meet in a great assembly. 22.1. During the time of the Kosala King Mahakosala (sixth century B.C. E), Kasi was part of the Kosala kingdom. When the King Mahakosala gave his daughter Kosala Devi in marriage to Bimbisara, the king of Magadha, he gifted his daughter the village of Kasi yielding revenue of a hundred thousand Karsapana to take care of her ‘bath and perfume expenses’ (Ilarita Mata Jataka No. 239; Vaddhaki Sukara Jataka No. 283). It is said; Ajatasatru ascended to the throne after murdering his father Bimbisara; and, thereafter the heartbroken queen Kosala Devi died of loneliness and love , pining for her departed husband. 22.2. Even after the death of his mother Kosala Devi, Ajatasatru continued to enjoy the revenues from the Kasi village , which had been gifted to her for ‘bath money’. Ajatasatru’s ‘impertinence’ deeply disturbed Pasenadi who by then had succeeded his father Mahakosala as the king of Kosala. He was determined that an unrighteous person (Ajatasatru) who murdered his father should not inherit, by right , a village given in gift to his widowed mother (Kosala Devi) . Pasenadi and Ajatasatru (uncle and nephew) thereafter fought seesaw battles, with no clear winner. 23.1. During the time of the Buddha, Pasenadi had gained control of Kasi ; and, was hailed as the King of Kasi-Kosala. In the Lohichcha Sutta, the Buddha inquires a person named Lohichcha: “Now what think you Lohichcha? Is not king Pasenadi of Kosala in possession of Kasi and Kosala?” Lohichcha replies “Yes; that is so Gotama”. The Mahavagga (17. 195) mentions that a brother of Pasenadi was appointed to administer Kasi. 23.2. The conquest of Kasi by Kamsa (king of Kosala) might have taken place just prior to the rise of Buddhism. That is because; Angutta Nikaya remarks that the memory of Kasi as an independent kingdom was still fresh in the minds of its people during the Buddha’s time; and , the people sometimes seemed to forget that their king was somewhere else. 24.1. Kasi played a very important role in the life of the Buddha. It was on the outskirts of Kasi that the Buddha delivered his First Discourse (pathama desana) , introducing the essence of his teachings. It marked a watershed in the Buddha’s life. It was at Kasi that Gautama the Buddha emerged as The Revered Teacher (Bhagava), as the Blessed One (Araha) and as the perfectly enlightened One (Sammaa -Sambuddha). 25.1.After he realized the futility of extreme austerities and self-mortification; and, after his fellow seekers dissented and departed, Gotama retired into the forests of Uruvala in the Maghada country; and , engaged himself in his Sadhana. 25.2. On the full moon night in the month of Vesaka – the sixth month; on one of those nights he spent under the Bodhi tree, he understood the sorrows of earthly existence; and , of the supreme peace, unaffected by earthly attachments. He said to him, “My emancipation is won… Done what is to be done. There is nothing beyond this ” (katam karniyam naa param itthattaya) . 25.4. He journeyed from place to place from Gaya; and, at length reached the holy city of Varanasi, after nearly seven weeks, covering by foot a distance of about 144 miles. On his way, a monk named Upaka enquired Gautama where he was headed to, “To set in to motion the wheel of Dhamma (Dhamma Chakkam pavattetum)” ,he replied , “I proceed to Varanasi”. 25.5. He reached Kasi after crossing the Ganga. There at Varanasi , he learnt the five ascetics (Kondanna, Vappa, Mahanama, Assaji, and Bhadda) whom he knew before , were at Isipathana or Isipatana (Rishipattana – where the ascetics live; now called Saranath), on the nearby outer area of the city. He found them in Isipatana at the garden Migadaaya (Deer park) , where the deer roamed without fear. They were surprised to see him . They greeted him pleasantly “Look, who comes here; our friend (avuso) Gotama”; and, offered him seat and water for ablution. They were highly impressed by Gotama’s majestic, pure and serene demeanor. They wondered whether he had achieved uttari manusa dhamma, the super human state. The Buddha then informed the five ascetics , he had done what had to be done. He had attained That. He asked them to listen to his findings : “I teach about suffering ; and, the way to end it”. 25.6. They listened to him in all earnestness. What he spoke to those five ascetics (Pancavaggiya bhikkhus) later gained renown as one of the greatest and most important discourses in religious history. 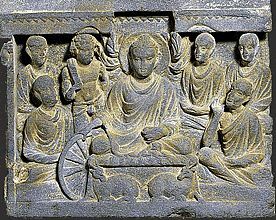 It was the Buddha’s first teaching (Pathama desana), the celebrated Dhammacakkappavattana Sutta, the discourse that set in motion the wheels of Dhamma. At the end of his talk, the Buddha emerged as the Great Teacher. He came to be revered as Bhagava (the Blessed One). 26.1. It was at Isipatana , Migadaya, that the Buddha delivered many significant sermons that established his doctrine. Later in his life, the Buddha visited Kasi many times; went out for alms on its streets. He met and talked to whole cross-section of its people: kings, queens, noblemen, merchants, bankers, householders, women, youth, the poor, the homeless, the ascetics, the believers and non believers. The Jatakas narrate stories woven around the lives of those impacted by the Buddha’s message. [Later, by about the tenth century the Risi-patana (Saranath) area, sadly, became a den of Kapalikas, Aghories and the Buddhist Vajrayana tantric cults practicing weird tantric – vamachara (left-handed) rituals, which scared away common people. By the time of the Gahadvala kings (eleventh century), the weird sects of tantrics had grown so powerful that they attacked and beat back king Chandradeva (Ca. 1089–1103), who tried to enforce on them some order, discipline and code of social conduct. 27.1. During the eleventh and the seventeenth centuries the city, its temples and its people fell victims to series of attacks and atrocities inflicted by the Muslim rulers. But, somehow, the city found strength in itself to survive; and , to rebuild after each attack.The glorious Kashi as of the Puranas that existed till 12th century had almost vanished by 17th century. But, the city was not defaced or totally defeated. I have to mention here the repeated destruction of the Sri Vishvanatha temple and of the final obliteration of the Kritti-vasesvara and Bindu-Madhava temples. 27.2. During the year 1194, Kutbuddin AIbak of the slave-dynaty, plundered the city and destroyed the ancient temple of Sri Vishvanatha, said to have been built during the reign of the King Vinaya Gupta (505-508 AD). 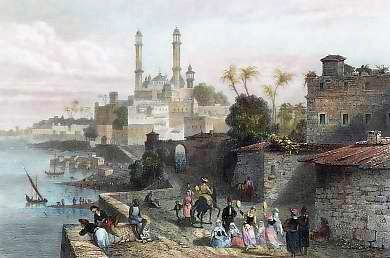 Aibak, it is said, carried away about 1,400 camel loads of wealth from Kashi. Later, Razzia Sultana (1236 -1240) raised the Bibi Razziya mosque over the site of the temple destroyed by Aibak , using the pillars rescued from the ruins. Again, during the thirteenth century a temple of Sri Vishvanatha was erected by the local Hindus, near the adjoining Avimuktesvara temle. This temple too was destroyed , but partially , by the Sharqi kings of Jaunpur (1436-1458). Sikandar Lodi, however, completed the job during 1490 , by destroying it entirely. 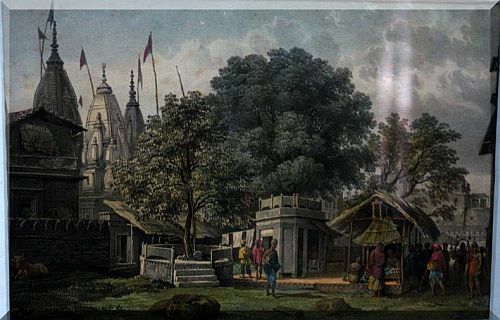 About, ninety years thereafter , mainly through the efforts of Raja Todarmal and a scholar Narayana Bhatta (1514-1595) , a temple of Sri Vishvanatha was erected on the site of the one destroyed by Lodi. But again during 1669 CE, Aurangzeb destroyed this temple; and, built a Mosque in its place. But, he spared its hind portion, perhaps as a sign of warning. He built on the destroyed portion of the temple what is now known as the Jnanavapi mosque. The remains of the erstwhile temple can be seen in the foundation, the columns and at the rear part of the mosque. Jnanavapi Mosque sketched as Temple of Vishveshvur in 1834 by James Prinsep. In 1742, the Maratha ruler Malhar Rao Holkar planned to demolish the mosque and reconstruct Vishweshwar temple at the site. However, his plan did not materialize, mainly because of intervention by the Nawabs of Oudh (Lucknow) , who controlled the territory. Around 1750, the Maharaja of Jaipur commissioned a survey of the land around the site, with the objective of purchasing land to rebuild the Kashi Vishwanath temple. However, his plan to rebuild the temple also did not succeed. 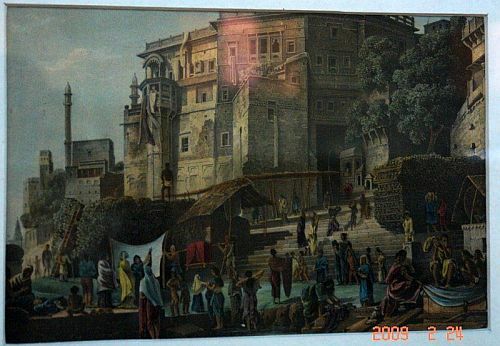 Again , in 1780, that is almost a little over a hundred years after its destruction by Aurangazeb, Malhar Rao’s daughter-in-law Rani Ahilyabai Holkar, the Queen of the Maratha ruled Malwa kingdom with its capital at Indore , caused the construction of the present temple , adjacent to the mosque. This is the Sri Vishvanatha temple that now stands in Kashi; and, the one which is in active worship. The reconstruction of the temple also marked the revival of the native spirit. In 1828, Baija Bai, widow of the Maratha ruler Daulat Rao Scindhia of Gwalior, built a low-roofed colonnade with over 40 pillars in the Gyan Vapi precinct. 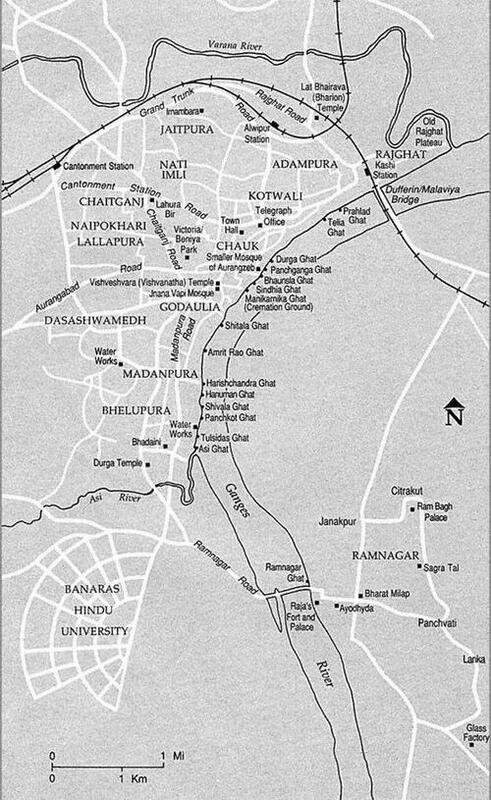 During 1833-1840 CE, the boundary of Gyanvapi Well, the Ghats and other nearby temples were constructed. Many noble families from various ancestral kingdoms of the Indian subcontinent contributed towards the maintenance of the temple. In 1841, the Bhosales of Nagpur donated silver to the temple. In 1859, Maharaja Ranjit Singh of Punjab , donated one tonne of gold for plating the temple’s dome. 27.3. 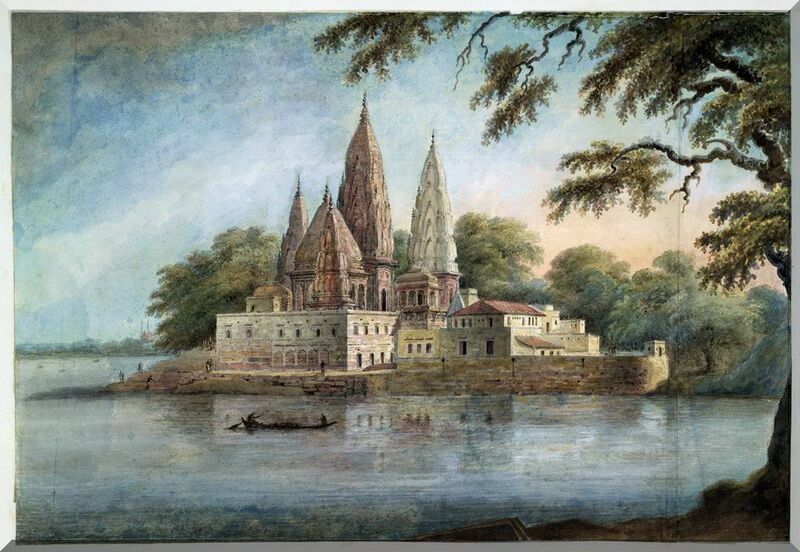 The destructions during 1658-59 as ordered by Aurangzeb, of the Krittivasesvara temple and the destruction in 1673 of Veni Bindumadhav temple which stood at the highest spot in Kashi, and erecting mosques on the site of destroyed temples, was the gravest wound inflicted on Kashi. It has not healed even today. The events leading to the destruction form the subplot of Shri SL Bhyrappa’s well written historical novel Avarana. 27.2. 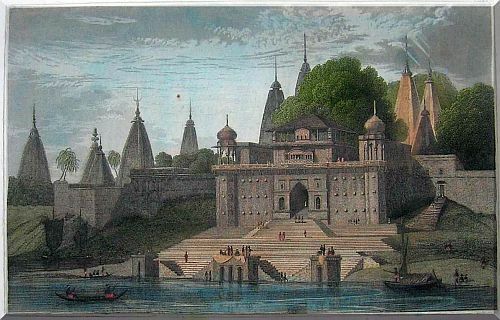 The only available description of the ancient temple of Bindu Madhava dedicated to Vishnu then standing on the Panchganga Ghat comes from the travel accounts of Jean-Baptiste Tavernier, (1605-1689) the celebrated French jeweller and traveller. He travelled extensively round the country in the middle of the seventeenth century. His travelogue is particularly valuable because it is the only account left behind by a foreign traveler of the ancient temple of Bindu Madhava before it was destroyed in 1673. He visited the temple on 12 – 13 December 1665. The mosque constructed on the site has dominated the riverfront ever since. The following is an extract from Varanasi Vista by Jagmohan Mahajan. 28.1. 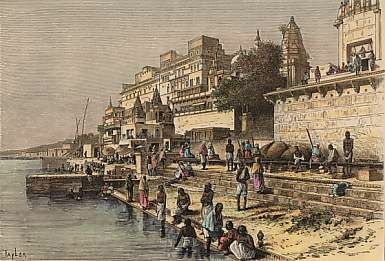 The British who travelled in India extensively during the last quarter of the eighteenth century provided an excellent exposure to Kashi . The west became aware of the wonder of the east, mainly through the narratives of their visits to Varanasi, providing varied, detailed and delightful as also fanciful descriptions of life in the city. They were especially struck by the splendid panorama of the Varanasi riverfront, the picturesque Ghats with flights of broad stone steps leading down to the great river swarming with people performing their daily prayers. 28.2. Those who truly immortalized the fabulous riverfront of Kashi were the landscape artists , most of them poor; but, valiant. They had set out into an unknown world in pursuit of the cult of the “picturesque” and the exotic. Their sketches gave the outside world, and , in fact, even to the Indians themselves, the first visual impressions of the spectacular Varanasi Ghats, as also of the magnificent monuments and scenic beauties in India. 29.1. 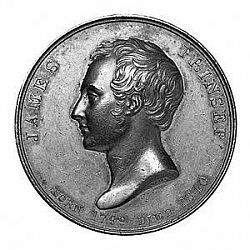 I cannot resist mentioning here James Prinsep (20 August 1799 – 22 April 1840) who in his short life spent ten of his most productive years in India and contributed to Kashi more than anyone else did in the past several centuries. James Prinsep was a Fellow of the Royal Society ; and, in fact, the youngest to be elected a Fellow of that body. He was a many sided genius : Assayer, Architect, Engineer, Linguist, Epigraphist, Artist, Demographer, Cartographer, Urban Planner and many other things rolled into one. Prinsep is credited with deciphering the Brahmi and Kharoshti edicts of Asoka and Kanishka; bringing to light the names of the old emperors. 29.2. The twenty year old James Prinsep arrived in Calcutta, together with his younger brother who had got a commission in the East India Company’s Bengal Army. James commenced service in the Calcutta Mint as an assistant to the Assay Master, Horace Hayman Wilson, an eminent Sanskrit scholar and also the Secretary of the Asiatic Society. In less than a year Prinsep was posted to Benares , as the Assay Master. 30.1. James Prinsep fell in love with the city of Kasi, where he arrived in 1820 and where he was to spend the next ten years of his short life. Apart from taking charge of the construction of the Mint building, James surveyed and produced a detailed map of the city by the end of 1821. He later had the map (29 x 19 inches) lithographed in 1825, at his own expense. For long years it remained an outstandingly accurate map of the old city. 30.2. Along with the map, he also produced a comprehensive directory of the various Ghats, Temples, open spaces, important buildings; and also a list of pundits specialized in each branch of learning. Sadly, his directory is unpublished ; and, is now said to be in the archives of the Royal Asiatic Society. 30.3. Following the city map and the directory, Prinsep took up ,during 1826, the census of the city , which was particularly difficult for a city that depended on floating population. 30.4. Then in the beginning of 1825, Prinsep commenced the work of providing the old city with a reliable drainage system, a much needed amenity for a pilgrim city. He successfully completed the project in a matter of 19 months. Prinsep’s drainage system with a few extensions and new outfalls, serves the city to this day. 30.5. 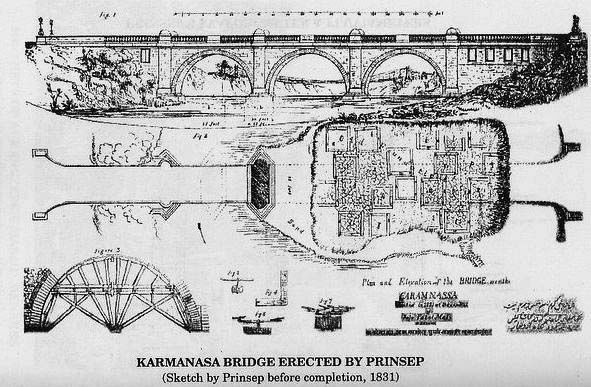 Prinsep then went on to design and build a bridge, the Karam Nasha Bridge, over a waterway across the city. 30.6. He also took up the restoration of the Gyaan Vaapi mosque or Aurangzeb’s mosque, built originally in about 1675. It is said; Prinsep dismissed the mosque as an architectural atrocity , but for its soaring minarets. 30.7. He achieved all these in just a matter of ten years, before he turned thirty. He , in the meantime , improved his Sanskrit and astronomy. And, he set up a printing press, the Benares Literary Society as also an observatory. He caused compilation of a meteorological profile of the city, using instruments acquired with his personal money. 31.1. One of his other endearing contributions to the city is his Benares Illustrated published in 1831 with 35 plates. Two further volumes of 13 and 10 plates respectively were issued in 1832 and 1833. These volumes were reprinted in India during 1996 and after. 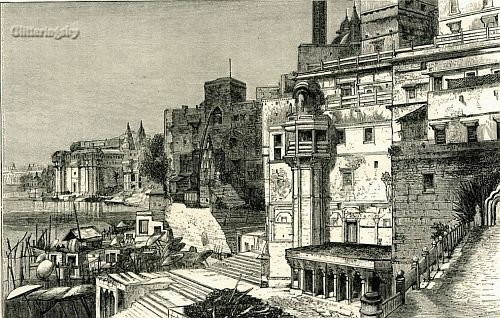 The following are just a couple of his Benares drawings. 32.1. 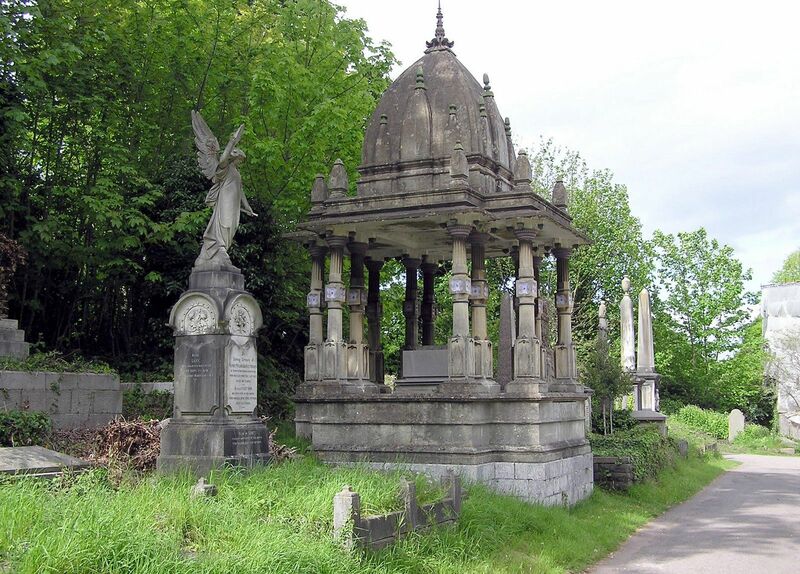 It said; on his return to Britain during 1830-31, Prinsep designed a small but splendid Mantap , in Indian style, at Bristol, Arnos Vale.It was designed to honor the remains of Raja Rammahun Roy…..known as the father of modern India, and the first Indian to be buried in Britain, in 1833. James Prinsep died soon after he turned forty. But, the details of his last days are unclear. Some say; Prinsep overworked himself to death. 33.1. The problems of today’s Kashi, as anywhere else, are human callousness and lack of reverence for life; but, they somehow look more pronounced here. You witness here more than what you would like to see of pollution, squalor, ignorance, dirt, deceit and wretchedness. How much and how long can the beleaguered Ganga maa wash the unrepentant sins of the countless multitudes who pollute her each day …! !